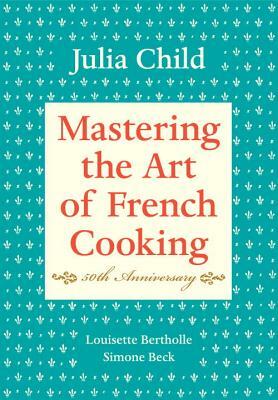 JULIA CHILD, a native of California and a Smith College graduate; Simone (“Simca”) Beck, French-born and -educated; and Louisette Bertholle, half French and half American, educated in both countries, represented an even blending of the two backgrounds and were singularly equipped to write about French cooking for Americans. Child studied at Paris’s famous Cordon Bleu, and all three authors worked under various distinguished French chefs. In 1951 they started their own cooking school in Paris, L’Ecole des Trois Gourmandes, at the same time that Mastering the Art of French Cooking was taking shape. After that, Simone Beck published two cookbooks, Simca’s Cuisine in 1972 and New Menus from Simca’s Cuisine in 1979, and she continued to teach cooking in France until her death in 1991. Louisette Bertholle also had several cookery books published. In 1963, Boston’s WGBH launched The French Chef television series, which made Julia Child a national celebrity, earning her the Peabody Award in 1965 and an Emmy in 1966. Several public television shows and numerous cookbooks followed. She died in 2004.